My name reminds me of my heritage. There are palms and beaches. I hear the constant beat of the rhythm of the island. Adobo Pollochon fills my kitchen with smells from my childhood. I am Puertorriqueña. It all began in August of 1968. 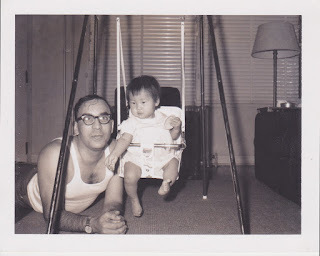 Prompted by my introduction letter, my father, recovering from surgery, took early medical leave to fly to Korea to meet me. He would forever wear a long scar, one that started small but stretched upon carrying all the bags for the trip. Our meeting included several days of me becoming accustom to my parents. I think I was pretty comfortable. 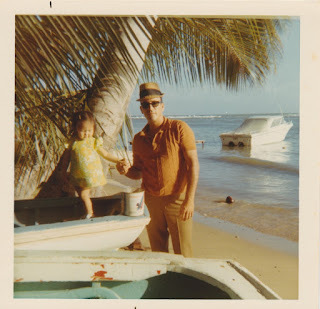 I was instantly “Daddy’s Girl.” I followed my father wherever he went. I was his shadow. His time in Korea, at the end of the Korean War, helped him acquire a taste for Korean food. When we are together, he often asks if there’s a Korean restaurant, and when he visits our favorite Korean restaurant in Knoxville, Tennessee, he texts me to let me know. He cannot have his kimchi without thinking of me. Tucked away, I have his 1950s Korean/English dictionary. He tried to teach me Korean greetings, but I was more interested in the fun Spanish rhymes he would say. Of course he had to cuddle me and our dog. She wasn’t going to be replaced by this new walking being. 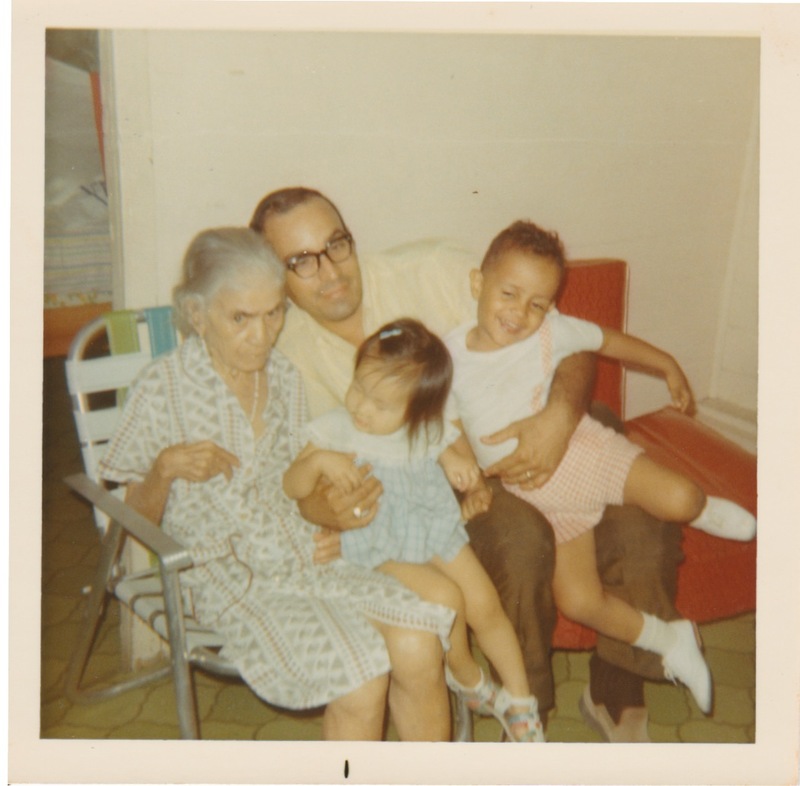 I was introduced at the age of two to my Puerto Rican relatives. The island welcomed me, and I met mi Abuelita, mi Bisabuelita Ita and mi tio y las titis. The smells of the island kitchens still infiltrate my Wisconsin kitchen … especially in the cold months when I need the comfort of arroz y tostones. My father’s family has committed the same unconditional love that forgets my biological race. In 2000, I brought my infant son to Puerto Rico to introduce him to the island, a land of abrazos y besos. 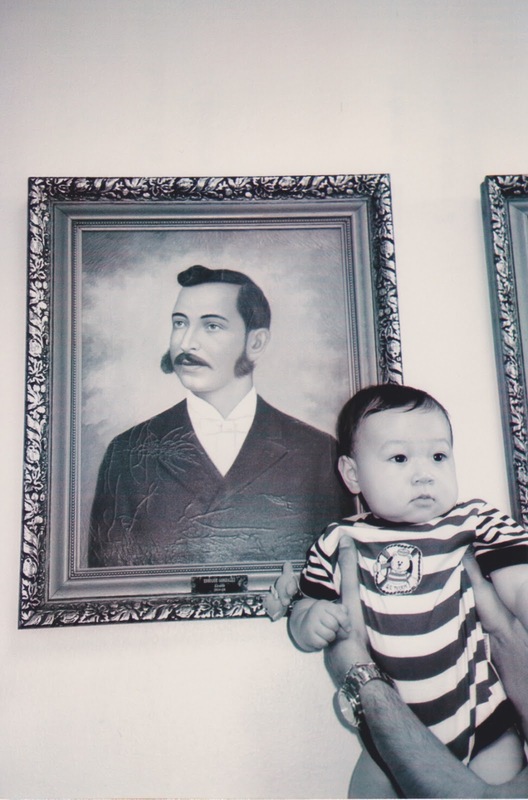 My cousin, Richie, took us to the City Hall of Guayama and found my great grandfather’s portrait. He was the first Enrique. Richie proudly held my son against the portrait and proclaimed that my son looked just like his great-great grandfather, a former mayor of the town. 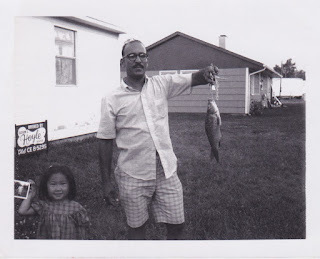 Enrique … that name has been passed on to every male in the family, but I broke the tradition. My stubborn will missed the subtle cues from my father in phrases like “What do you think about ‘Enrique’ or ‘Fernando’?” I realized my mistake when all the relatives asked how I came to my son’s name. Luckily, I have gotten some redemption now that my son is taking Spanish in school and has taken on the name “Enrique” for his class. 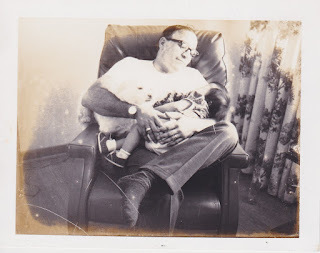 I speak of my mother often since I cannot see or speak with her, but my father is a constant presence in my life. I feel blessed for every day I have him to cuddle my children. They are proud to have their Latino names and their Papito. They laugh when he uses his fart machine, they enjoy fishing with him as I did, and they admire his oil painting skills. 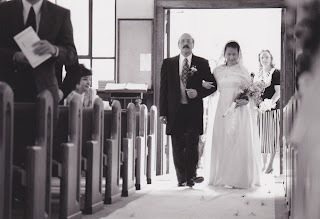 He returned safely to later share one of the most treasured days of my adulthood. 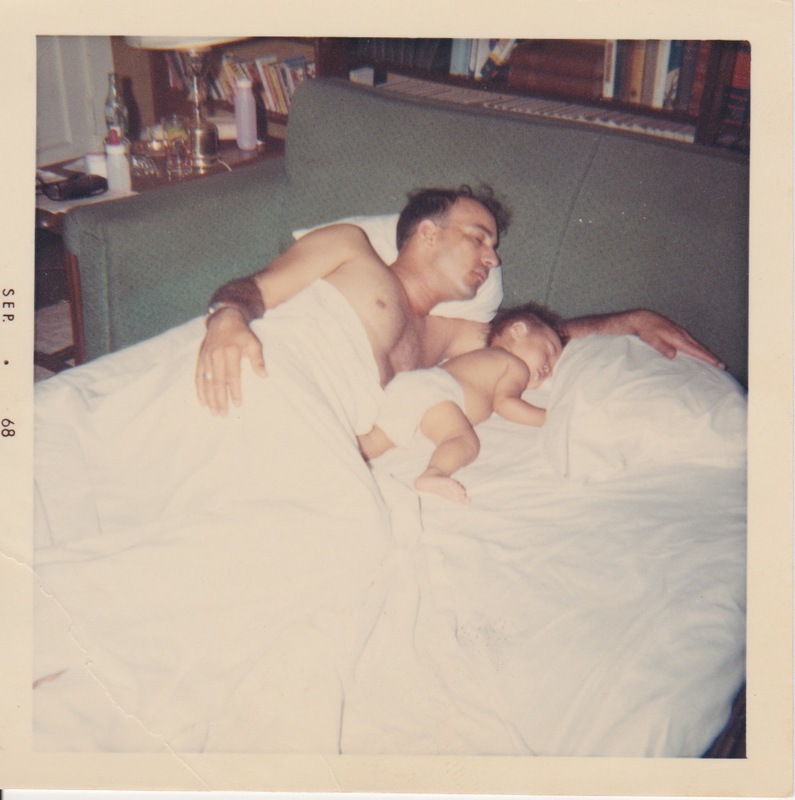 I will forever be Daddy’s Girl. 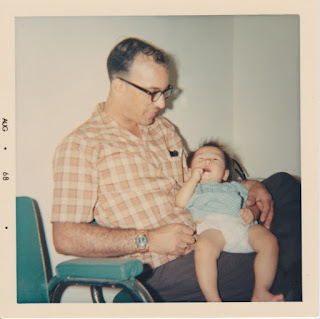 This entry was posted in Abuelita, Adobo Pollochon, arroz y tostones, Bisabuelita, Daddy's Girl, Enrique, father, Guayama, kimchee, kimchi, Knoxville, Korea, Korean restaurant, Puerto Rican, tio, titi, unconditional love on February 5, 2013 by mothermade, the blog.